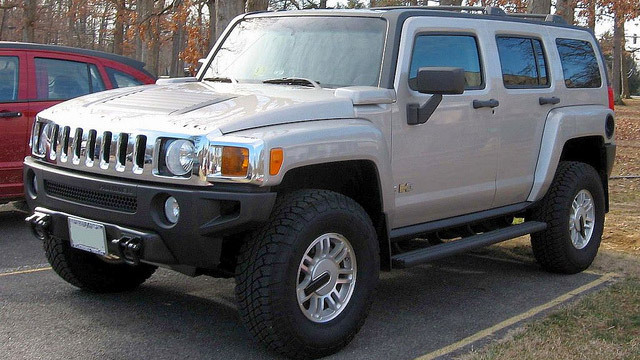 Are you looking for a qualified auto repair shop in Eugene for your Hummer? Look no further than Action Automotive. Our ASE-Certified auto mechanics are no stranger to Hummer repair. Considering one of our mechanics has 20 years of experience, and the other two have 30 years of experience each, you know you’re working with real professionals. Plus, everyone attends training sessions on a monthly basis to stay up to date on the latest technologies and repair strategies. Along with the quality repairs you can expect from us, we also have several services set up to help our customers. First we offer a free shuttle service and can take you wherever you need to go in Eugene. We’ll let you know when your car is safe to drive, and you can head back out on the road! Additionally, we offer low cost rental cars. At Action Automotive, we want to make sure your experience with us is as stress-free as possible. If you are looking for reliable and thorough auto repair, you are in the right place. Our service advisors will be happy to chat with you about the options for your Hummer, and what we can do to make your day easier. We are conveniently located at 1491 West 6th Avenue, Eugene, Oregon, 97402. Give us a call now. Come in or call to make an appointment for your Hummer today!